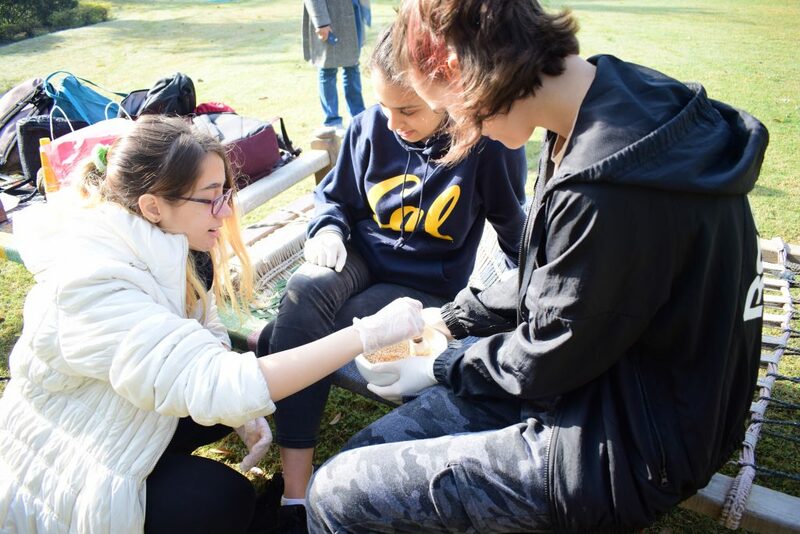 The Group 4 project is a collaborative and multidisciplinary activity, which encourages IB Diploma Programme (DP) science students to appreciate the environmental, social and ethical implications of science. Since 2014, The British School, New Delhi, India, has worked with four schools in order to lend an international dimension to the project. In previous years, it has collaborated with The Ritsumeikan Uji School in Kyoto, Japan; Brockton High School, Massachusetts, USA and Bay Port High School, Wisconsin, USA (who is also a partner this year). Students form teams and share videos and comment on each other’s work. 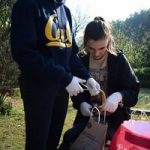 “The collaborative experience both within the school and with other schools allows students to not only get a peek into problems and conditions in other parts of the world, but also helps them realize that humanity is one,” says Mary George, Biology Teacher and Curriculum Leader (Science) at The British School. 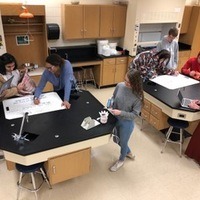 “As biology is the only DP science course offered at our school, we are thrilled to connect with other DP classes around the world. I believe our Group 4 project allows my students to experience the ‘international’ aspect of the IB curriculum. George says that the themes are influenced by the UN Sustainable Development Goals but are adapted to suit local needs. Past themes include ‘Beating Air Pollution’ and ‘Alternate Sources of Energy’. This year’s theme is ‘Waste to Wealth’. “Students are working on projects that either recycle or up-cycle waste to create something useful. They are also aimed at finding ways to reduce waste of resources,” says George. The British School carries out its Group 4 project with villagers at Mangar, set on the outskirts of the Mangarbani forest in northern India. The locals have been fighting against the cutting down of the forest, and students have not only studied problems in the area, but also suggested alternatives to traditional sources of energy as well as lifestyle improvements, explains George. Some of the activities this year include making an all-natural mosquito repellent for the Mangar villagers, upcycling paper bags and cardboard cartons to make useful articles and creating a simple water purification plant. While in the USA, Bay Port High School students have been making recycled plastic plant pots and exploring why aluminium is harmful to the environment, and how to encourage plant pollination. “Students get opportunities to appreciate the environmental, social and ethical implications of science as well as its limitations. The project helps students to realize that science is only a tool to help achieve the UN Sustainable Development Goals and much needs to be done in educating people around the globe about economic and social issues. The collaboration also develops the spirit of international mindedness,” says George.